I BOOKED MY WEDDING VENUE!!!! It was the only venue I researched and the only venue I fell in love with, but let me tell you what I had to go through to get my dream venue. 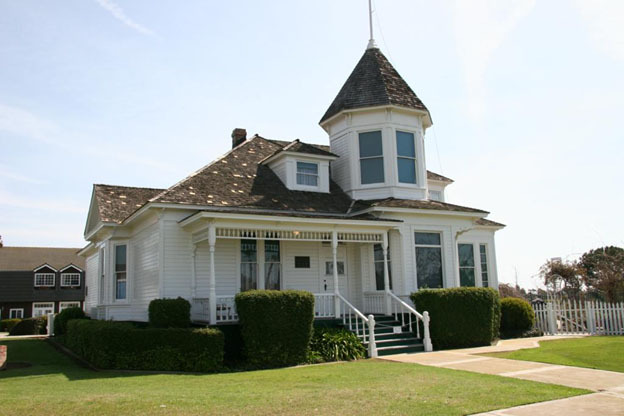 The Newland House Museum (above) is the oldest residence built in the city of Huntington Beach and is maintained by the Huntington Beach Historical Society for all to see. This house was built in 1898 for Huntington Beach pioneers William and Mary Newland and their ten children. The original Newland ranch extended from Beach Blvd. to Magnolia and from Yorktown south to Atlanta for a total of 500+ acres in which they planted lima beans, sugar beets, celery and later chili peppers. The house is open for tours to the public. The house it's self is not available for use during weddings, but the barn, gazebo and lawn (below) are used. For more pictures, visit their yelp page. To book this venue, renters can do so exactly one year to the date, in person (they do not accept reservations over the phone), with the total amount due at the time of signing. I went into booking this venue blind. There were little to no reviews or how-to's anywhere on the internet; all I had to go on was the website. The few people who had answered questions on how to book the Newland Barn were through wedding bee. The only tip that was given was to be at Huntington Beach City Hall 4-6 hours before they open because multiple people will show up to book the same date you are looking to reserve, especially if you are trying to book a Saturday date. So you want to book the Newland Barn for your wedding and like me you did your research, but found nothing to help you prepare. Hopefully you found this post in time for your reservation. The first thing you need to do is pick your date and save your pennies to pay for the rental in full on your booking date. 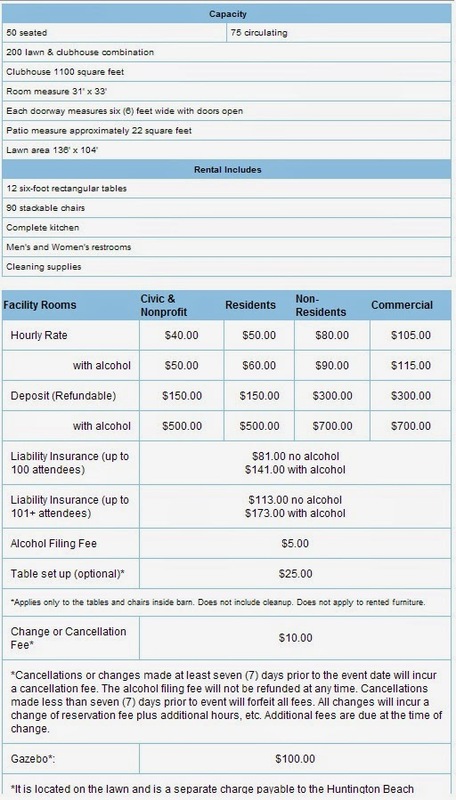 Below is the chart with all of the fees required to book the Newland Barn. If you know a Huntington Beach resident that is willing to use their name and address for the reservation, contact them. It will save you A LOT of money. My amazing boss is a Huntington Beach resident and let me use his name and address to book the venue (he had to be there for address verification purposes of course). If you would like to book the Gazebo, you can do it when you book or no later than 2 weeks before the wedding. 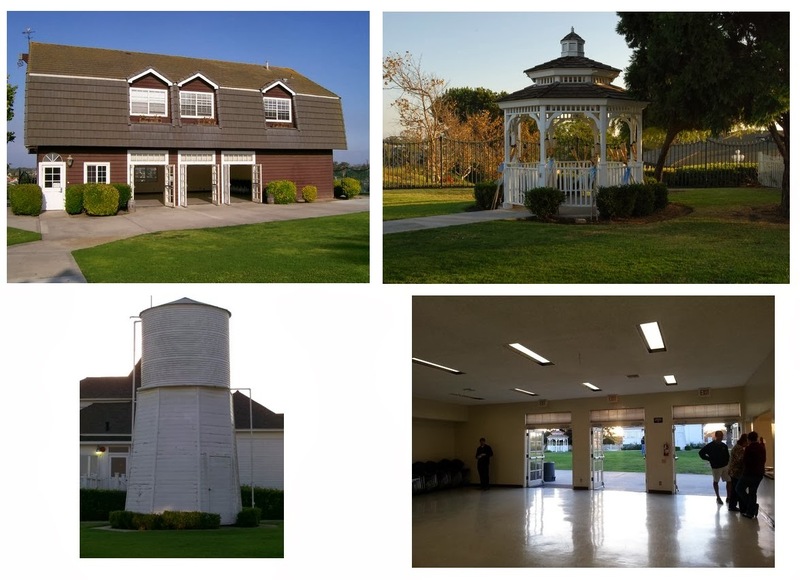 The next and last thing you need to do is book the venue at the Huntington Beach Civic Center one year to the day of your wedding. I recruited my maid of honor to go on this venue-booking-adventure with me and we agreed that we would arrive to Huntington Beach City Hall 12 hours before the Community Services Department opened. We called it a camp-out! The morning before the camp-out (a Thursday), I packed my car full of stuff. Snacks, drinks, movies, a kindle fire, blankets, my UGGS, flip flops, make up, a fresh change of clothes for the next day, a folding chair, phone charger, and my pillow. 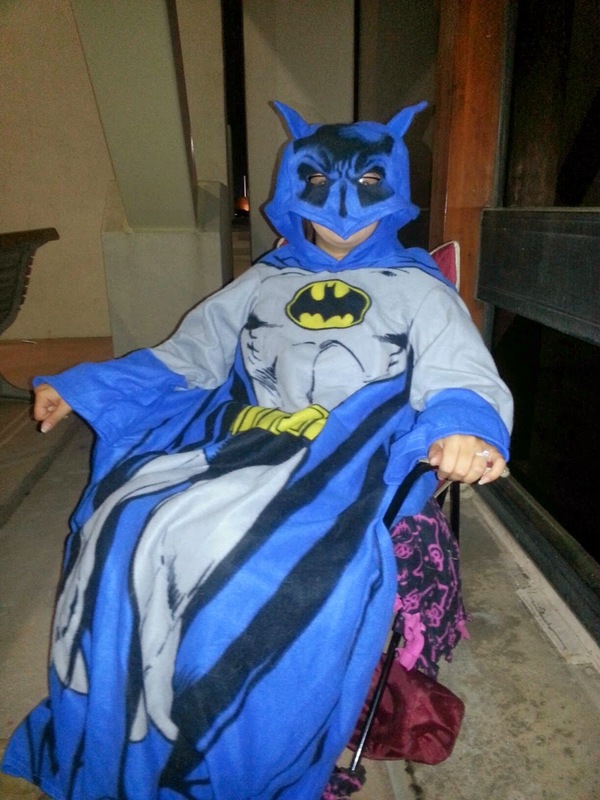 After work, with my car already packed, I went home, took a shower and got into my camp-out clothes (jammies). At 7 PM, I picked up my maid of honor on the way to the Civic Center and she loaded all of her goodies into my car. You could have swore we were leaving for a week. When we got there at 8 PM, there were still people hanging around the police station and the civic center. We didn't unload all of our stuff until we scoped out the place. Since the police station is directly in front of the Civic Center, we were worried about the police telling us to leave the premises. The entire time we were there, we stayed hidden behind giant pillars. Once we decided where we were going to set up camp, we took turns unloading the car. We brought everything. We set up shop and waited. My favorite part about the night was finding out the Civic Center had free WI-FI! 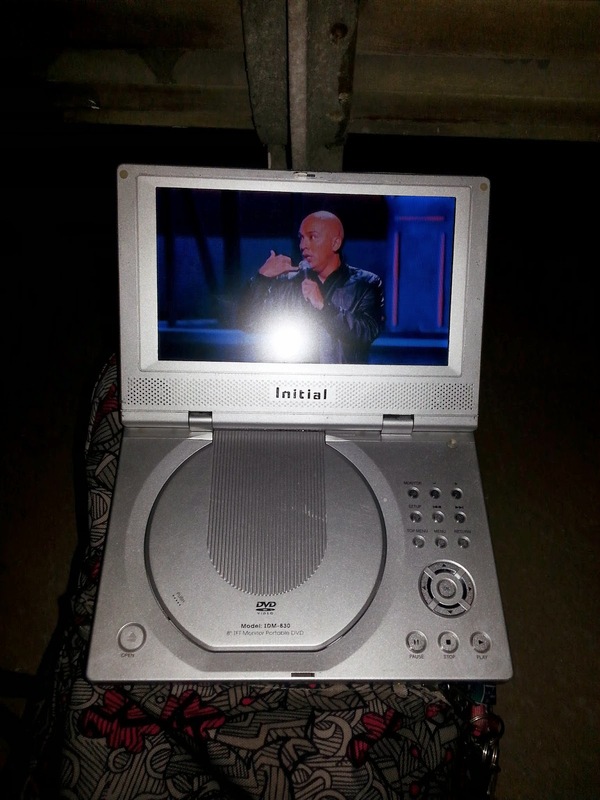 My maid of honor, Kaitlyn brought a portable DVD player and we watched Joe Koy until the battery died (about 30 minutes in). After that I whipped out the kindle and we watched Pitch Perfect, Forrest Gump and Netflix. People were coming in and out of the Civic Center, but they were really nice and knew exactly why we were there. We just hung out all night, talking and snacking until about 4 AM, Kaitlyn made a little cot out of our chairs and fell asleep for a bit (WARNING: THERE ARE NO BATHROOMS!). I stayed up and watched Netflix I was scared I would sleep through my alarm. There were two other people who showed up at 4 AM and 7 AM. The person at 4 AM left because he knew he didn't have a shot. The one that came at 7 AM was there to book the 20th, but ended up booking the 19th, since we were there first. 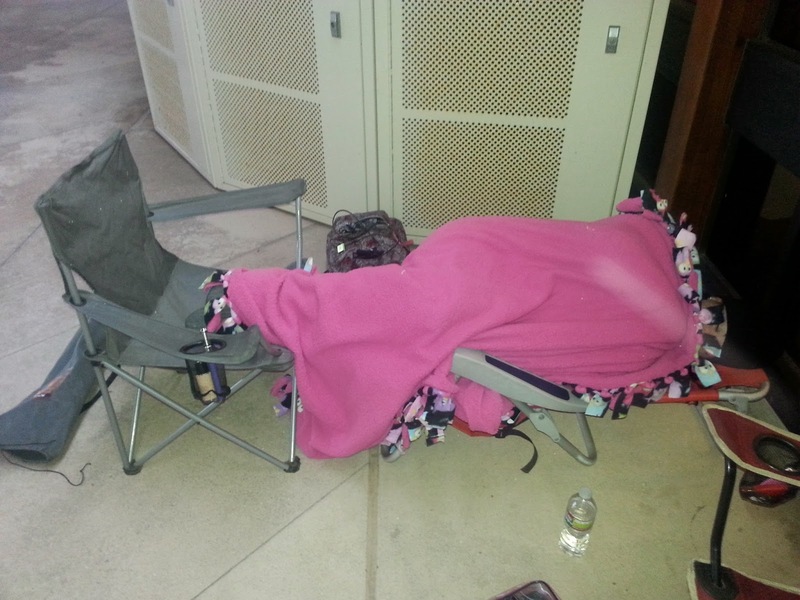 I was so proud of us and it felt really good to be the first ones in line. At 7:30 AM, my boss drove down to the civic center to meet us (he was sweet enough to bring us Starbucks). Shortly after that, a lady from the Community Services Department came down and asked who was the first to arrive, took my name down and went back inside. When the doors opened we went to the 5th floor and booked our venue! Two other people came after 8 AM, since the venue was technically booked by me, they were turned away. The woman booking the reservation gave me a packet to fill out. When I completed filling out everything (in my boss's name, with him there), they asked him for an ID for proof of Huntington Beach residency, they asked for the rental fee ($1546) and that was it. My date was set and my venue was booked! The woman gave me the option to book my rehearsal date then or to call at a later date. I booked it right then and there, got copies of my paperwork, my receipt and I was out of there. I dropped Kaitlyn off at home when we were through and I went to work. Yes, I went to work after being up for 24 hours straight. (I worked a full 9 hours too). Wow, this wedding location looks amazing. I am pleased to find your experience on how you found perfect venue for your big day. I also would be starting the wedding preparations soon but due to budget constraints we are not able to find any good LA venues. Hoping to find a good one soon.